Unique: We are huge fans of the owner Isaac Becker’s other restaurant Bar La Grassa, which is on the north loop of Minneapolis. The decor there is warm and rich, so we weren’t sure what to expect here. 112’s atmosphere is classy, but humble and had a feel that was cozy. It feels a bit upscale with brick walls and darker lighting. Though dimly lit upstairs where we sat, it had an impressive balance between a formal and informal feel. The music was hip, but a bit loud. The overall mix of people varied quite a bit. Complementary: Bread, olives and almonds, and caramel popcorn that accompanied our check! 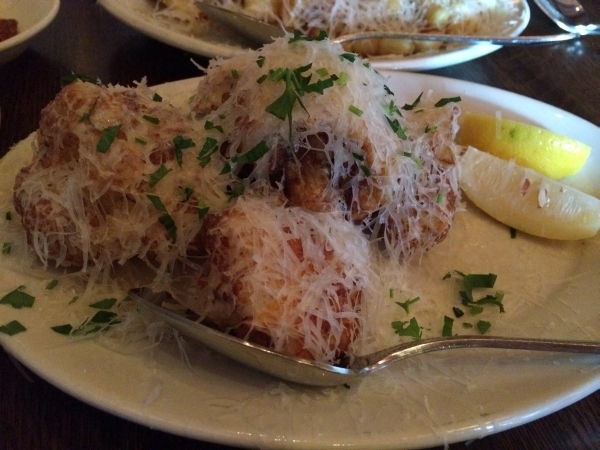 They offer the familiar Focaccia bread that we’ve enjoyed at Bar La Grassa within the bread basket. 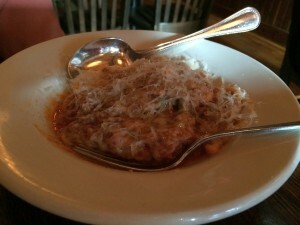 It is so flavorful, fresh and warm (and irresistible)! 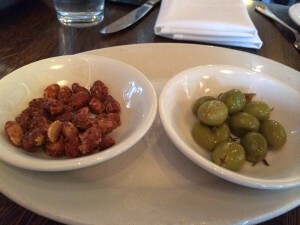 They also serve you almonds that have been candied with some sort of spicy coating and olives. I’m a huge olive fan, so the mild flavor thrilled me and kept me occupied while we waited for the food to arrive. 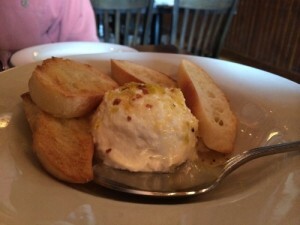 Fresh ricotta and toast. The cheese was creamy and smooth with just a hint of tartness. It had a slight flavor of orange and the honey was perfect almost tasting like a dessert dish. 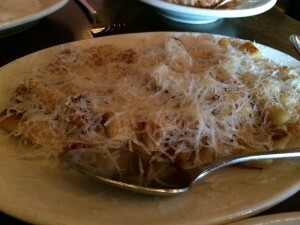 The gnocchi was perfectly cooked and topped with quite a bit of parmesan. The outside was crisp, but the inside maintained a melt in your mouth texture. It was wonderful! They were different. Lightly deep fried and topped with cheese. The cauliflower was perfectly cooked but still firm. There was a small amount of a light crust on the outside that made them really flavorful! 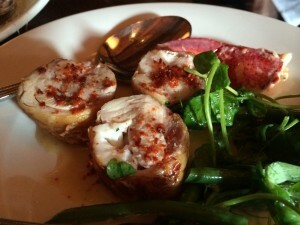 The chicken was juicy and tender topped with watercress and crisp green beans. 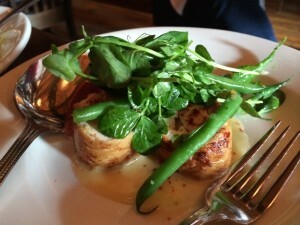 The mellow flavors of the chicken paired nicely with the peppery, tangy, and appetizing flavor of the greens. The meat sat on a sweet Sabayon sauce that is usually made with egg yolks, sugar, and wine beaten together over heat until it becomes thick. It can be served either hot or cold and was terrific! The seasoning included a type of red pepper and it all worked with the tender, mild piece of lobster. Dessert: We were too full for the tres leches cake we heard so much about, but were thrilled to have the treat on the house. A small serving of a sweet, spiced, almond and caramel popcorn clusters. 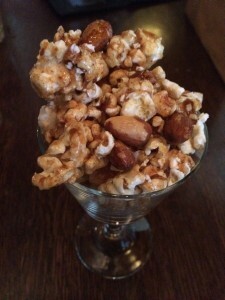 It reminded me of upscale Cracker Jacks that had some of the same flavors of the toffee at Bar La Grassa. The wine list is good with a nice variety. We recommend you try it, but plan a little time in advance because there is not a lot of parking in the area!